Grundy County, Tennessee, ranks near the bottom of the state in the County Health Rankings and Roadmaps. But that hasn’t stopped the small county from initiating a top-tier response to improving community health. In the new rankings released today, the county improves its position from a last-place 95th to 93rd. 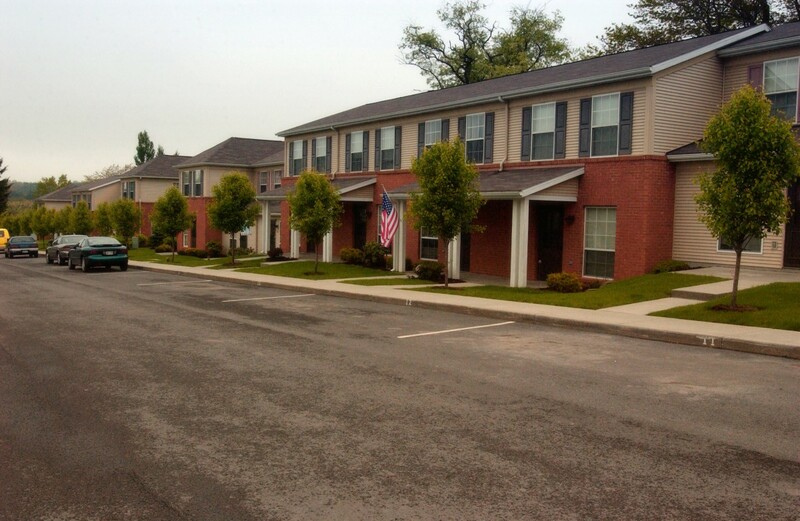 Overlook North, a 60-unit low-income housing tax credit family development built in 2002 in Oakland, Maryland. Photo: Courtesy Garrett County Community Action Inc. Healthy living begins in the home. Secure, affordable housing is critical to living long and well. That’s according to the recently released 2019 annual County Health Rankings, a collaboration of the Robert Wood Johnson Foundation and the University of Wisconsin Population Health Institute. The focus of this year’s report is housing. Health outcomes, the authors continue, “are shaped by a range of factors that are heavily influenced by where we live,” including our behaviors, access to care and nutrition and social and environmental factors. If housing costs exceed 30 percent of monthly household income, that household is considered severely cost burdened. Nationwide, according to the report, more than one in 10 households spend more than half of their income on housing. This burden is associated with food insecurity, child poverty and self-assessments of poor health, according to the authors. Communities across the country are rising to this challenge with comprehensive strategies that include housing rehabilitation loans and grants, rapid rehousing initiatives, mixed-income development and civic engagement. One such is the Appalachian community of Garrett County, Maryland, where affordable-housing initiatives are not only meeting immediate needs but promoting economic development. For Aliana Havrilla, a community coach with the County Health Rankings and Roadmaps program, the single-most disturbing statement in this year’s report is that hundreds of thousands of households are but one unforeseen event – an illness, a job loss or even just a drop in hours – from losing their home. According to the report, in 2016 nearly 900,000 households faced evictions. That so many families and individuals have such a tenuous hold on secure housing, Havrilla asserted, “is a conversation that we don’t often have, but that we should be having.” It’s a conversation this report aims to advance. For those who are able to remain in their home, struggling to meet a mortgage payment often means foregoing medical care or extending a few groceries beyond their capacity to nourish, triggering a cascade of health concerns. While no region or demographic has been immune, the researchers determined that half of all rural counties have experienced an increase in severe housing cost burden since the housing crisis of 2006 to 2010, and that nearly one in four black households spend more than half of their income on housing. Garrett County is Maryland’s westernmost county, abutting the state’s West Virginia and Pennsylvania borders. According to the County Health Rankings, it ranks 15th among the state’s 24 counties in health outcomes, health behaviors and clinical care, and 17th in quality of life. The Garrett County Community Action Committee is a private nonprofit agency that works to build economic security for lower-income families and households. Affordable housing has been an area of concerted focus. Duane Yoder, the agency’s president, said that while the home-ownership rate in the county is high, much of the housing stock is mobile homes that are in poor condition. “One of the things that’s happened is that the community has been successful in creating jobs,” Yoder said. The county’s unemployment rate was once three times that of the state and the nation; it’s now roughly equal to those rates. But many of those jobs are in the services industry, and the pay is moderate to low. Affordable workforce housing is housing that is considered to be reasonably affordable for moderate to middle-income workers. A primary concern for Garrett County, like for so many rural Appalachian communities, is the aging of its population – young people leaving in search of more and better opportunities. A declining population has a ripple effect, with implications for a community’s health. It can make it more difficult to recruit health care professionals and result in the closing of the local hospital. The county commission has appropriated more than a million dollars the past couple of years to the Garrett County Community Action Committee for a down-payment assistance program. The stipulation is that the house must be in Garrett County. The groundbreaking for a 90-unit senior housing development called the Meadows at Mountain Lake, completed in 2017 in Mountain Lake Park, Maryland. Photo: Courtesy Garrett County Community Action Inc. The community has also invested in mixed-income rental housing, with units available for different income levels. So while striving to bolster its residents’ quality of life in the here and now, the community is aiming toward a healthier future. 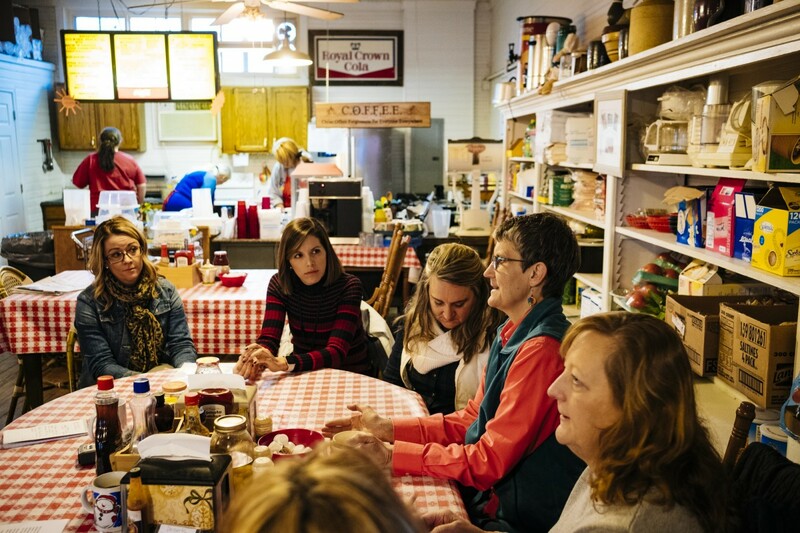 Taylor Sisk is 100 Days in Appalachia’s health correspondent. Kentucky’s Hepatitis A outbreak is the worst this century, sickening more than 4,100 and killing 43. And the state could have done more to control it. Last spring, Kentucky’s infectious disease chief was ringing the alarm. An outbreak of hepatitis A that already had infected nearly 400 people in Louisville was seeping into Appalachia, where rampant drug addiction provided fuel for the virus to explode across rural Kentucky. To contain it, the drug users and homeless largely spreading the disease had to be vaccinated — and quickly. But the challenges in impoverished rural Kentucky were huge. Drug users were hard to find and vaccinate. Thinly staffed county health departments had seen their budgets shrink. And federal vaccine money for Kentucky had run out. Brawley argued that a powerful state response was needed: $10 million, including $6 million for a fusillade of 150,000 vaccines and $4 million for temporary health workers to help administer them. In an email, he also lobbied for a public health emergency declaration to bolster the case for more federal money. But a Courier Journal investigation found his urgent pleas went nowhere. And in the months that followed, Kentucky’s outbreak metastasized into the nation’s largest and deadliest. The Courier Journal found that Brawley’s boss, 31-year-old acting public health Commissioner Dr. Jeffrey Howard, rejected his aggressive recommendations. Amid limited state budgets, county staffing constraints and the availability of more than $220 million in local health department reserve funds — he stuck instead to a $3 million state response. The state ultimately sent $2.2 million to local departments and declined to declare an emergency. In addition, county health departments added little to no staff to increase efforts to find and vaccinate drug users and homeless people. Moreover, Kentucky officials never tried strategies used successfully by some of the other 16 states who fought outbreaks with limited budgets. Kentucky didn’t seek money from the state legislature, like Michigan. It didn’t deploy “strike teams” of state health workers to counties, like Indiana. And it waited much longer to deploy state funds than Tennessee, which earmarked $3 million after just 25 cases. The contagious liver disease has taken a heavy toll in Kentucky, sickening 4,162 people, far more than in any other state. It has sent 2,015 Kentuckians to the hospital for costly treatment. And it has claimed 43 lives, the highest death toll in the U.S. — including people such as former Eastern Kentucky coal miner James Ramey. Last fall, Ramey’s organs failed, one by one, until he struggled so hard to breathe that the blood vessels burst in his neck. In his last hours, his father raced over two hours from Martin County to his bedside in a Lexington hospital, leaning over his tubes and wires to beg him to hold on. Ramey’s heart gave out as soon as he heard his father’s voice and felt his touch. He died Nov. 28, 2018, just over a year after the state declared an outbreak of hepatitis A. “There’s a very good chance James would be alive” had the state done more earlier to educate and vaccinate people in Appalachia, said his sister, Brandy Stafford. “We are desperate for help in these counties. People are crying out. Howard defended his decisions, telling the Courier Journal the state used limited money to bolster vaccines in numbers that could actually be administered by small staffs in county health departments — and he was willing to seek more funding if needed. Nurses were expensive, he said. And even with more vaccines, drug users would remain difficult to find. None of the counties requested additional staff, he said, and some were slow to spend the state money they did get. Also, counties could pay for vaccines with local tax revenue or Medicaid reimbursements or order vaccineprovided by the U.S. Centers for Disease Control and Prevention. Moreover, state officials consulted with the CDC, which provided more than $600,000 in cash and $1.4 million worth of vaccines, he said. And they targeted people where they could efficiently find them: jails, emergency rooms, syringe services programs and drug rehabilitation centers — efforts that public health experts praised. But he acknowledged that in retrospect he could have done some things differently. “I would’ve liked to be more robust in our early response in Eastern Kentucky for sure. I wish I would’ve been more bold and said, ‘Let’s move into Eastern Kentucky,’ as opposed to waiting, as we did, with the outbreak,” said Howard, who grew up in Appalachia. Adam Meier, secretary of Cabinet for Health and Family Services, said he stands behind Howard’s choices. He said in a statement that the “challenges Kentucky faced were less financial and more logistical in nature as it related to identifying and engaging the at-risk populations. But Brawley told the Courier Journal that much greater resources were needed to battle Kentucky’s spread of hepatitis A, pointing out that San Diego County in California spent more than $12 million fighting its 2017 outbreak. After an early response that an audit deemed too weak, San Diego brought the virus under control by nearly quadrupling the vaccines administered seven months into its outbreak. By comparison, the state general funds Kentucky spent on its outbreak amounted to less than a quarter as much, Brawley said, even as the virus ultimately infected nearly seven times as many people. “In comparison, the Kentucky hepatitis A outbreak response has been too low and too slow …” Brawley, who resigned in June,told the Courier Journal. 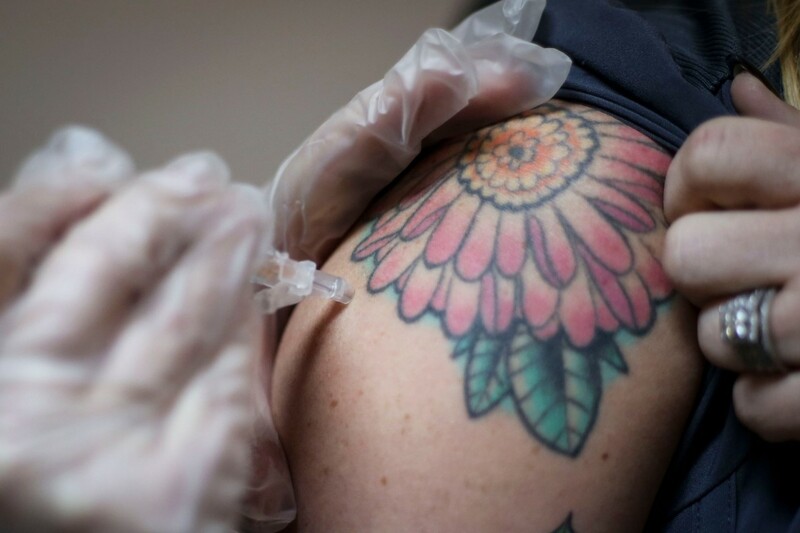 Others inside the health department, including nurse Margaret Jones, manager of the state’s immunization program, agreed that Brawley’s recommendations could have curbed the outbreak faster. Jones said others were surprised Howard didn’t follow the guidance from Brawley, a public health veteran who has been a doctor since 1975, holds specialized degrees in epidemiology and infection control, and retired from the U.S. Navy Medical Corps before joining the department in 2006. Brawley eventually left his job as chief of the state health department’s infectious disease branch and now lives in Columbus, Ohio. Howard graduated medical school in 2014, was named acting commissioner just as the outbreak was declared in November 2017 and received his Kentucky medical license last year. As recently as 2018, he was working on a public health master’s degree at Harvard University and was officially appointed public health commissioner in June. Like Jones, others who work in rural Kentucky were dismayed that Brawley’s recommendations were ignored. “It’s shocking that decision was made. I’m flabbergasted,” said Stacy Usher, manager of a drug prevention program in Wolfe County, which has one of the state’s highest rates of hepatitis A. But Meier emphasized that the state’s response, led by the state epidemiologist, was guided by a public health team including epidemiologists, physicians, nurses and scientists. He pointed to county health department reserves and other sources of funding available to help address the outbreak. Officials at the CDC and in other states haven’t criticized Kentucky’s spending decisions. For most states, they said, resources dictate public health responses. Given the challenges and the unpredictability of viral infections, experts said, it’s impossible to know the extent to which Kentucky’s outbreak would have been minimized with more resources. But experts say the unprecedented hepatitis A outbreaks that have sickened more than 13,000 Americans are a reminder that states must devote more resources to preventing and controlling disease, despite a national erosion of public health budgets. If rural health departments nationally were “properly resourced,” they might have been able to stop the vaccine-preventable disease before it sickened so many, said Dr. Michael Brumage, an assistant dean at the West Virginia University School of Public Health. Experts agreed that the way to bring hepatitis A under control is to hit it hard and fast. That saves money in the end, they said, because prevention always is less expensive than treatment. Howard said he appreciates the severity of the outbreak, which has spread to 103 of Kentucky’s 120 counties. But it would be wrong, he said, to compare hepatitis A to other diseases affecting drug users, such as hepatitis C, which afflicts Kentucky at one of the nation’s highest rates. Officials are hopeful the hepatitis A outbreak has crested. The number of new cases each week is down from 150 in early November 2018, averaging 87 a week this year. State health officials said their plans in 2019 include working to help local departments vaccinate more regularly at jails, increase vaccinations generally, enlist more federally qualified health centers to administer vaccines, and continue to push out federally funded vaccine to counties. But even now, too many at-risk drug users and homeless still aren’t being reached, said Dr. Martin Gnoni, an infectious disease specialist at Our Lady of Bellefonte Hospital near Ashland, one of the first areas outside of Louisville to be hit last year. Gnoni said his area could use more epidemiologists and health department staff, as well as outreach teams in vans. To get the virus under control, Louisville’s 220-person health department blanketed vulnerable residents, administering 25,000 vaccines. And it paid off. By May, Louisville’s cases declined steadily. The city’s all-out response led to nearly 100,000 vaccinations and was called a “gold standard” by the CDC. But Appalachian counties have fewer resources and fewer places drug users and homeless people concentrate, which has helped the virus race through the mountains. In January, Martin County, where Ramey lived and died, recorded some of Kentucky’s highest rates of hepatitis A. “I guess you could have seen it coming,” said Stephen Ward, the health department director in Martin County, where more than a third of the 11,000 residents live in poverty and addiction touches nearly every family. The county gave out around 800 vaccines last year, but never got any of the state money targeted for vaccinations. Howard said he wasn’t sure why, although it did receive some federally funded shots. Regardless, Ward said Martin County didn’t get enough resources from the state to combat the outbreak. He aches for the Ramey family, who he knows well. On a cold February morning, Stafford, Ramey’s sister, visited the family cemetery in a wooded mountain valley. She stuck cloth flowers into the fresh earth and placed a garden gnome near her brother’s grave. The 40-year-old followed his father into coal mining and struggled with pills, heroin and meth for much of his life. Years of intravenous drug use had given him hepatitis C.
But his family remembers him as a generous prankster, a 6-foot-2 “brute” who loved car racing, riding his four-wheeler and hanging out with his two teen sons. No one in his family had heard of hepatitis A until his girlfriend got it. Then Ramey contracted the virus, and within weeks he was dead. His family is still angry Kentucky isn’t doing more to save others from the same fate. Editor’s note: This story has been updated to reflect newly released state numbers on hepatitis A infections, hospitalizations and deaths. This article was originally published by the Courier Journal in Louisville. Telehealth services offer fast connections and easy accessibility to community institutions. When communities design broadband infrastructure to facilitate healthcare and telehealth delivery, they obviously plan to connect medical practitioners’ hospitals, offices and other healthcare facilities. Network connections to homes are growing in importance as government policies and market forces favor telehealth deployments. Logic and need, therefore, seem to dictate that communities consider telehealth delivery in schools and libraries. School administrators and parents prefer that students, teachers and parents spend as little time as possible out of school for sickness or traveling to doctors’ offices. Libraries reach out and touch virtually everyone in their communities across the entire economic spectrum. The flu was a serious challenge for Sevier County School System in Tennessee that resulted in school closings. “In some winters, the flu could affect as many as 20 percent of 14,000 students, causing entire schools to shut down in an effort to slow the spread of the flu,” explained Don Best, coordinator of school health for the system. “During the consult, the medical staff can examine the eyes, ears, nose and throat, as well as listen to the lungs and examine the skin,” said Joel Hornberger, Cherokee Health Systems’ chief strateg officer. With parent’s permission, the staff may also treat minor cuts and abrasions, rashes, strep throat, earaches and flu symptoms, and perform certain lab test. The U.S. Department of Health and Human Services funds in part a telehealth program that helped more than half of obese fifth through eighth graders in the rural Magazine School District reduced their obesity. The program is hosted by the University of Arkansas for Medical Sciences (UAMS) Center for Distance Health, and includes three other school districts. Surveyed Island Health traveling nurses recommend telehealth be adopted into the following programs: pre and post-operative consultations, breastfeeding assessments, maternal care, pediatric consultations, diabetes group meetings and respiratory care. This piece is part of a larger series on telehealth services.